Charlie Worsham - "Beginning Of Things"
Four years after the release of Charlie Worsham's debut album Rubberband, yesterday marked the release of follow-up album Beginning Of Things. A highly-anticipated release for many, Beginning Of Things blends slower, more reflective songs with catchy, upbeat numbers that you immediately find yourself enjoying and most likely singing along to. Take Me Drunk is one of those instances of a really catchy moment within the track. Compared to some of his contemporaries Charlie doesn't have a particular rocky style and tracks like this are where you will see the heaviest production on the release. Interestingly the speed at which the verses are delivered means it's actually quite hard to pick out all of the lyrics but it actually feels like that punchy style works really well in the backdrop of the song as a whole, then returning to a very short chorus that feels more refrain-like than the atypical full length chorus. Take Me Drunk was one of the songs Charlie played multiple times during his recent UK performances and I have liked it since I first heard it more than a year ago so it is definitely a welcome addition to the album, adding another musical dynamic alongside lyrics that can't fail to make you chuckle. 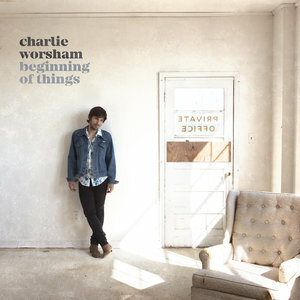 Tracks that see Charlie take what he introduced in Rubberband and build upon it whilst still sticking to the core sound that he does so well are where this release really shines such as Southern By The Grace Of God - even that has a lengthy and slightly messy electric guitar solo but the premise behind it works really well. The highly relatable lyrics are delivered with an ease that leaves you wondering why the album isn't full of tracks like this and whilst it is the longest track on the album it is pitched just right to really hold a listener's attention and draw them in (even though I would scrap the almost minute long guitar solo at the end!). Title track The Beginning Of Things is one of my favourites in the release as a whole. Inherently sad, the descriptive song takes you on a well-rounded journey through scenes painted by Charlie's emotive vocal, certainly a track that seems to bring out the best of him as an artist. A point within the album to really listen to and embrace, The Beginning Of Things offers an accomplished package of soft yet solid interweaving melodic lines - that interestingly seem to build upon the reflective nature of the track without making it overbearingly sad - alongside a vocal and lyrics themselves that really portray a compelling story, crafting a song you will want to hear again and again. Whilst I have to applaud Charlie for trying different influences at various points it unfortunately doesn't always work. I have seen Birthday Suit described as a possible cross-over hit but for me it makes for a really uncomfortable listen. It feels as though the track really doesn't suit Charlie with choruses that are basically shouted through overpowering production and with an odd vocal effect on the verses which leaves you really struggling to pick out what the lyrics actually are. I Ain't Goin' Nowhere ends up feeling a little frustrating. It opens with almost a minute of instrumental introduction and then proceeds to be incredibly repetitive, leaving the overall impression of it just being used as a filler track which is a shame as it's also one of the longest tracks on the album and a lot more could have been done with it. I Ain't Goin' Nowhere also uses another uncomfortable (and slightly random) electric guitar solo about halfway through which doesn't seem to fit with the rest of the track at all. At it's core I do like Beginning Of Things and there can be no doubt that Charlie is a talented artist but there are a few instances that take the shine off this album for me. It'll be interesting to see how Charlie continues with future releases and I can see that Beginning Of Things has already been warmly embraced by a lot of people but I'd really like to see more of the softer, more emotive tracks that he does so well take centre stage in future releases. Labels: Charlie Worsham - "Beginning Of Things"